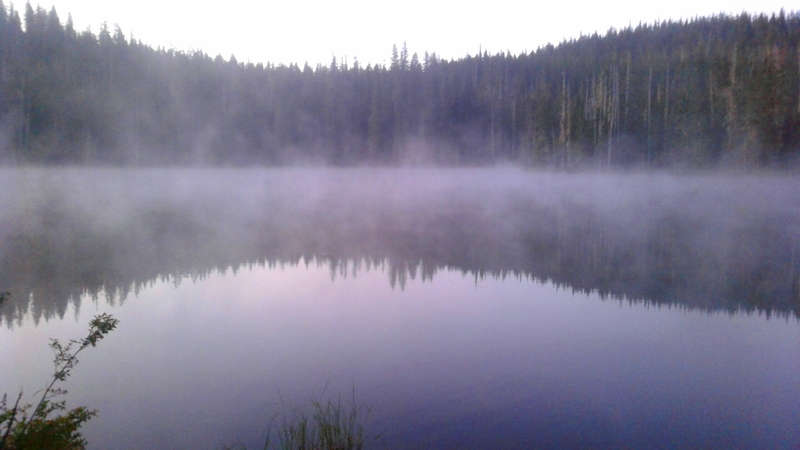 On waking this morning there was a mist moving across the surface of Horseshoe Lake which made it look quite errie. It was cold which meant the mosquitos were subdued. We were on our way to Elk Lake where breakfast was being served. The trail passed a number of lakes and was predominantly in forest with lush undergrowth. 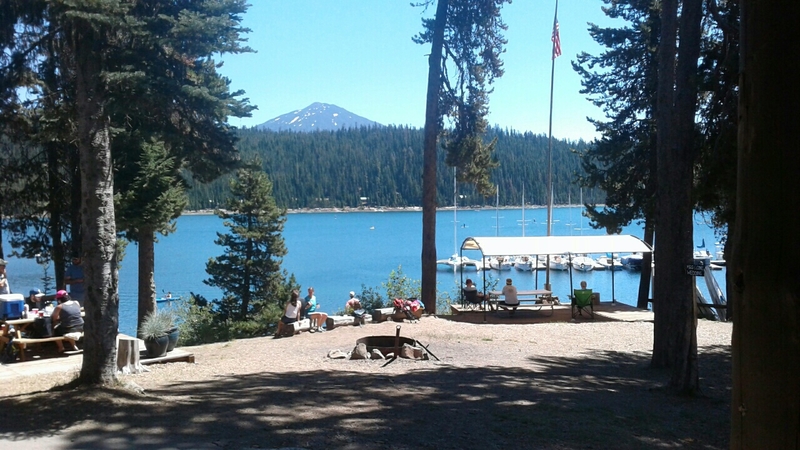 Section B and I made good time to Elk Lake to see a busy Saturday morning in full swing. There were a number of other hikers there, many of whom Section B had walked with or crossed paths with before. I also ran into Permasmile whom I had not seen since Vermilion Valley Resort, about 2 months ago. A breakfast burrito was followed by ice cream and some snacks but still no chocolate milkshake. I spoke to Corky this morning and she was a bit despondent with the progress of her healing. 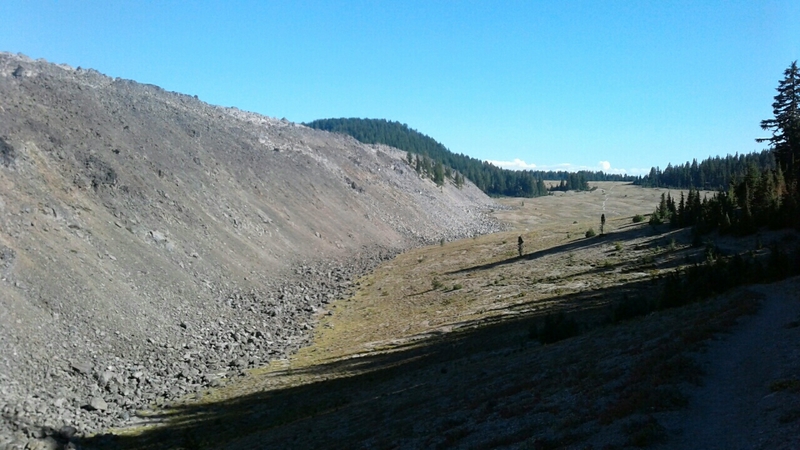 The afternoon walking was sensational with a series of volcanic peaks in the near distance and meadows in the foreground which were intersected by creeks and the odd wall of a lava flow. 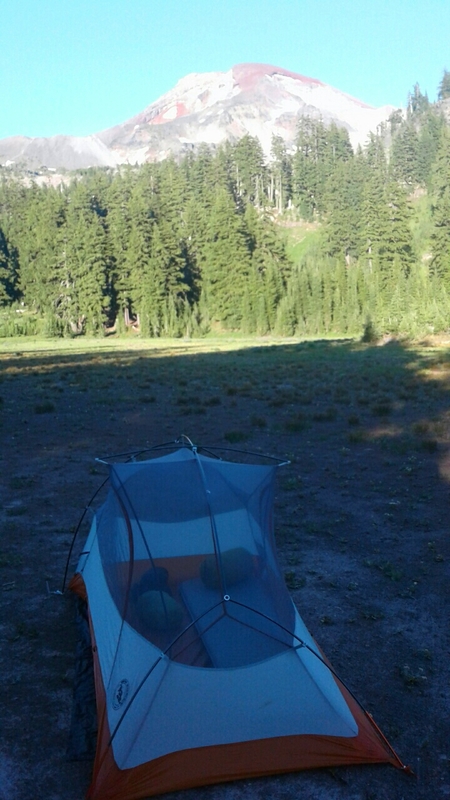 We found a great place to camp in a meadow with a mountain off to the right and one straight ahead. 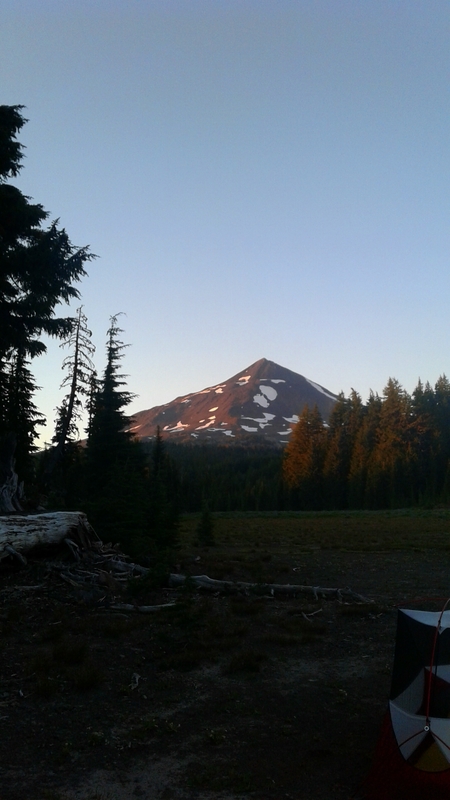 Oregon has certainly surprised and delighted with its constantly changing landscapes. I look forward to tomorrow‘s adventure. Another glorious sunny day. 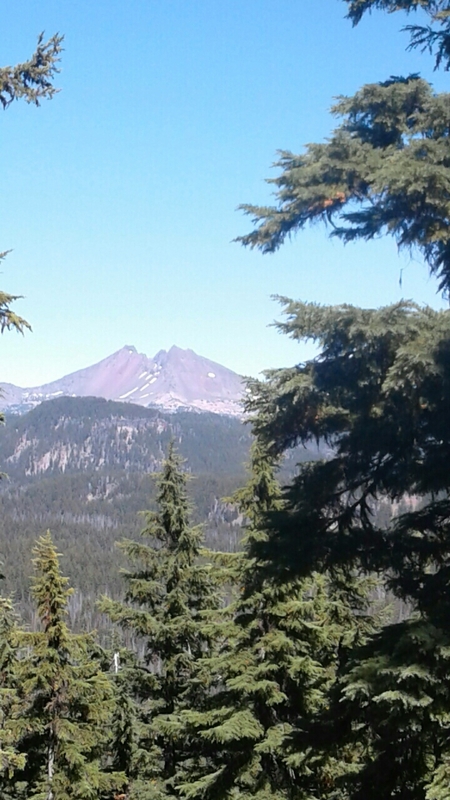 I am enjoying the ever changing distant view of Black Butte, wishing I coud hike to the top. I am curious to know what it would be like to look back from the summit. 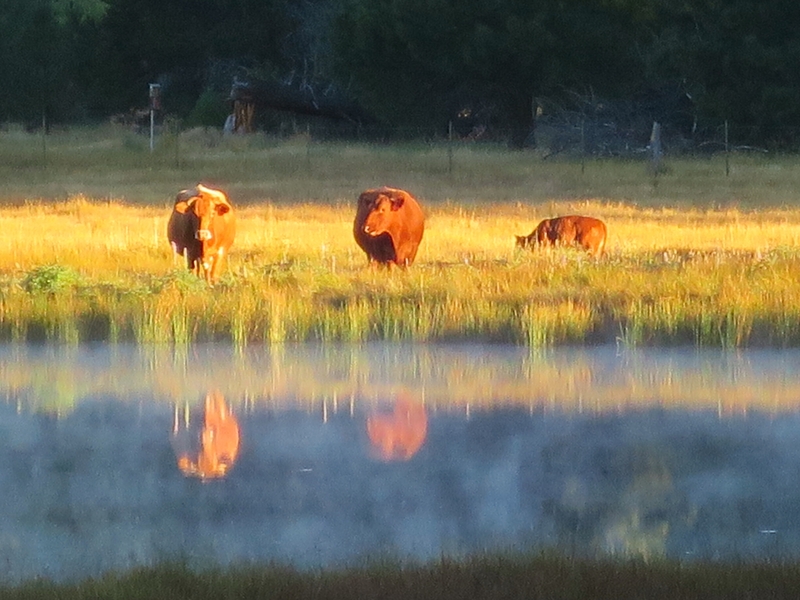 The grazing herd still stop by each morning on their lap of the lake. Their coats glisten in the morning sun. They look so shiny and healthy from the distance. Hope you were able to hear the Majestic calls of the Bull Elk while passing through Central Oregon. 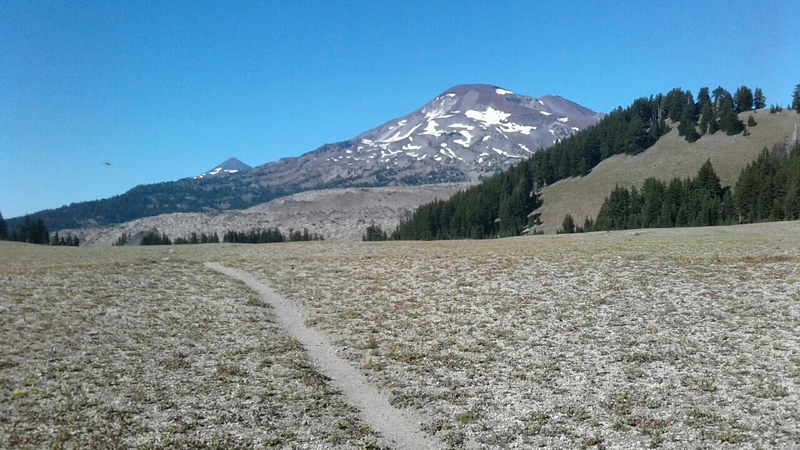 Spent many years north of Crater Lake and South of Bend on the PCT chasing the Bulls in the mountains. 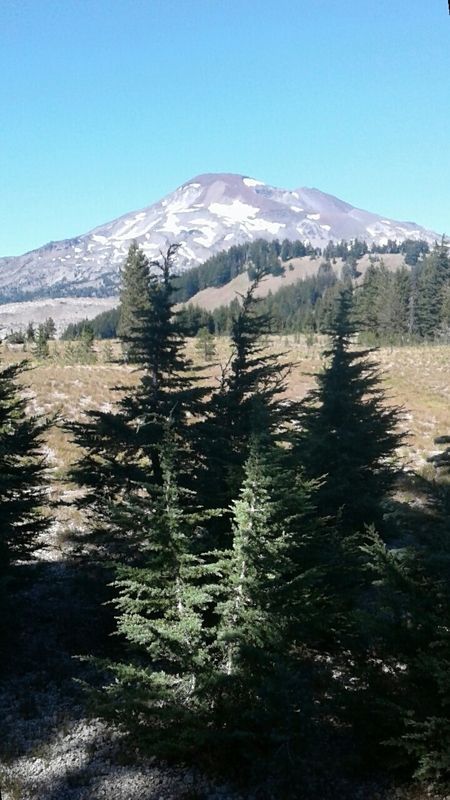 Nothing better than the sound of their bugle in the cascade mountains. Sounds like that was Hammers wake up call Charlie.